1. Be a promise breaker. This is one of the most common ways that we, as parents, break our kids' trust and compromise our own authority. Now, it's also important to point out that most of us will end up breaking a promise or two along the way, and that's not fatal. If we become habitual promise-breakers, though, we're bound to sacrifice some degree of closeness with our kids in the process. The fix: If you've been a promise breaker, acknowledge it and apologize to your kids. Then, moving forward, stop the pattern by refraining from making small-scale promises and keeping the ones you do make. 2. Take a do-what-I-say-not-what-I-do approach to parenting. Think recreational drug use is harmless? Drink and drive on occasion? Refuse to speak to your kids when you're angry? All of these patterns are things you're probably expecting your kids not to do. And when you do them, with or without their explicit knowledge, you compromise your integrity and break their trust. The fix: Change your behavior so that your own actions line up with what you expect of your children. This won't be easy at first, so it may be helpful to seek out an integrity-buddy -- someone who will hold you accountable for maintaining the changes you're trying to make. Kids are some of the most perceptive beings on the planet! Any level of deception will work against you in the long run. Don't be fooled into thinking that your kids won't notice -- or care -- if you're sleeping with your ex's best friend or stealing from work. Even minor indiscretions become a big deal when accompanied by sneaky behavior! The fix: Stop sneaking around. Be honest with your kids about what you're doing -- without providing more details than they need to know, of course. This is another way to compromise your parental authority, so keep your anticipation about where that new relationship might lead on the down-low and learn when to bite your tongue about your ex and anything else your kids don't need to know! The fix: Stop over-sharing and keep personal thoughts to yourself. Better yet, seek out some fellow adults with whom you can share your inner-most thoughts and feelings. This misstep encompasses multiple parenting mistakes, from actually abusing your kids to yelling at them or treating them harshly. Even being a yo-yo parent -- up one day and down the next -- leaves your children feeling uncertain about what to expect and can have a negative impact on your long-term relationship. The fix: Become a more consistent, loving parent. Consider taking a parenting class or starting a daily journaling routine to help you process your emotions more regularly. Lying to your kids is the fast-track way to lose their respect and your parental authority. Remember, they're perceptive! Just like you can read them, your kids are able to read when you're lying to them. The fix: Stop lying. Either speak the truth or say, "I'd rather not talk about that right now." 7. Share their confidences without their permission. When your kids share their feelings and vulnerabilities with you, they're sharing them with you, and it hurts their feelings when you share their secret confidences with your friends over a cup of coffee, so don't do it! When you feel you must share a confidence with your ex, let your child know so that it's not done in secret. The fix: If you've done it recently, apologize. Moving forward, take your kids' confidences seriously and never share them lightly with people outside of your family unless you're speaking with a counselor or therapist about a specific issue. 8. 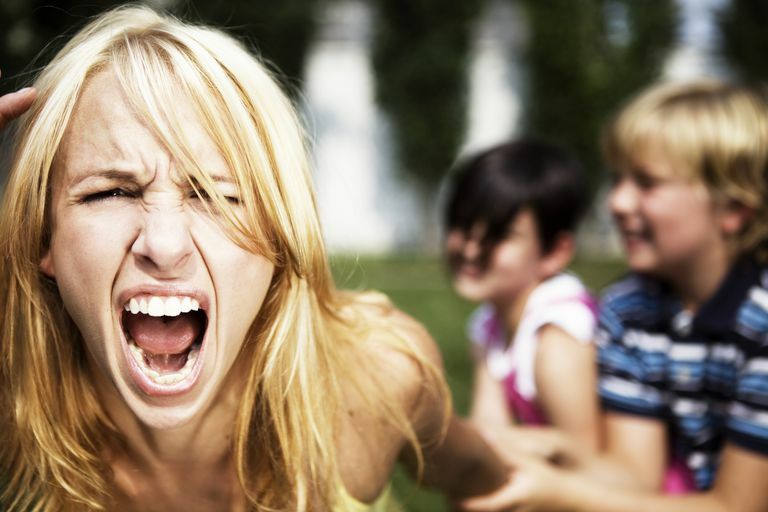 Speak negatively about your ex in front of your kids. This is absolutely taboo and a sure-fire way to lose your kids' respect. Instead, keep negative thoughts about your ex to yourself and live out the principle "if you can't say anything nice, say nothing at all." The fix: Again, if you've done this, apologize, and make a pact with yourself that you won't do it again. Growing up is hard enough; your kids don't need to know the details of how your ex has failed you. 9. Expect your kids to take sides. Finally, never act as though you really think your kids should be picking sides between you and your ex. The fix: Stop putting your kids in the middle and focus, instead, on what you can control -- your own actions.